Do You Qualify for a Home Office Tax Deduction? Although the home office deduction can make a big dent in your tax liability, many small-business owners don’t take it for the very simple fact that it can get very complicated. The classic tax form you must fill out to take the home office deduction is 43 lines. Yes, that’s just for a single tax deduction. Taking the home office deduction involves a trade-off between a little complication and big tax savings. Today, we’ll arm you with the knowledge to decide whether or not you qualify for this lucrative deduction and if you want to claim it. According to the IRS, a “home office” is essentially what you think it is: a place in your home where you conduct your business. But, as with anything tax related, it’s a bit more complicated than that. In the IRS’s own words: “You must regularly use part of your home exclusively for conducting business. For example, if you use an extra room to run your business, you can take a home office deduction for that extra room.” In other words, if you use a room in your house solely to operate your business, it meets this test. But if you use the room for your desk and as your kids’ playroom, it may not. You must show that you use your home as your principal place of business. For example, if you rent an office and also sometimes work at home, you probably won’t qualify for the home office deduction. That said, you may be eligible for the home office deduction if you carry on the course of your business in more than one location. (We told you this was complicated!) Product sellers will be happy to know that freestanding buildings can also qualify for the home office deduction. So if you operate your business or simply store your products in a freestanding storage building in your backyard, you may be eligible for this deduction. 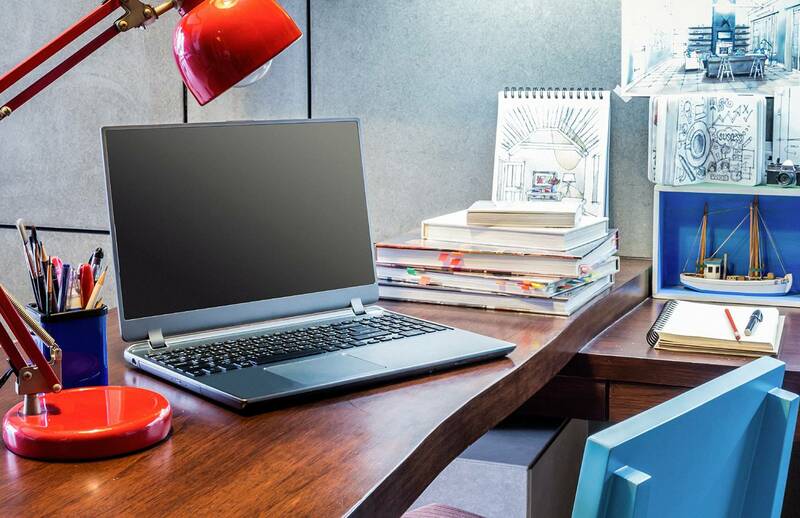 One clever way to determine if you comply with the home office deduction guidelines is to snap a picture of your home office and bring it to your accountant. She can help you determine whether or not you meet the requirements. Better yet, she may even find more deductions that you missed! How much can you deduct for home office use? For both methods, you need to know the percentage of square footage your home office takes up in your home. For example, if you live in a 2,000-square-foot home and your home office is 200 square feet, then your home office is 10 percent of your house. For example, if your homeowner’s insurance premium was $1,200 for the year and your home office takes up 10% of your home, then you can deduct $120 of the homeowner’s insurance as a home office business expense. The same allocation generally applies for other home expenses such as mortgage, power and gas, etc. Certain expenses, however, that are unrelated to an office such as landscaping or the upkeep/remodel of a an unrelated room (e.g., bedroom), aren’t deductible at any rate. To claim the home office deduction using the actual expense method, use Form 8829. Under the simplified method, you simply deduct as a home office expense $5 for every square foot of eligible space. For example, if your office space occupies 200 square feet of your home, you could deduct $1,000 ($5 x 200) as a business expense for the year. Keep in mind that you’re only eligible to use the simplified method for expenses incurred beginning in 2013. For home office expenses incurred prior to 2013, you must use the actual expense method. You should look at both methods, however, to determine which method allows for a larger deduction. Partial-year use — You can only deduct expenses for the business use of your home for the portion of the year you actually used your home for business purposes. For example, if you converted a room as your business office beginning on July 1 and met all the requirements for home office deduction described above from July 1 through the end of the tax year (December 31), then you may only consider expenses incurred from July 1 through December 31 to determine your allowable deduction. Capital gains tax — If you’ve taken a home office deduction on a home you own and sell your home at a profit, you may owe capital gains tax on any depreciation deductions you took after May 6, 1997. These deductions could be taxed at a different rate. If you fall within this situation, it’s best to consult your accountant. Audit red flag — A rumor often swirls around small-business circles that taking the home office deduction can trigger an audit. But if you legitimately qualify for this deduction, then you’re entitled to take it and realize those tax savings. We hope this post has helped you make sense of this complex and often misunderstood deduction. For more tax tips and advice on how to manage your business, subscribe to theTown Square newsletter.